A.P. Carter is shown in a light that is not always flattering, but which lets the reader see him as human and very interesting. His strict path of life, even at the cost of alienating his own wife and children, was like watching a train wreck in slow motion. His focus on music and on the survival of his family was so narrow that he missed much of what went on around him. The emotional disconnect between his fierce love of music and his failure to notice the same in his own daughter was heartbreaking. His friendship with Lesley Riddle, an African American musician, the events which led to his divorce, and even his dogged determination to make his way via music display aspects of his character that may be unfamiliar to most. 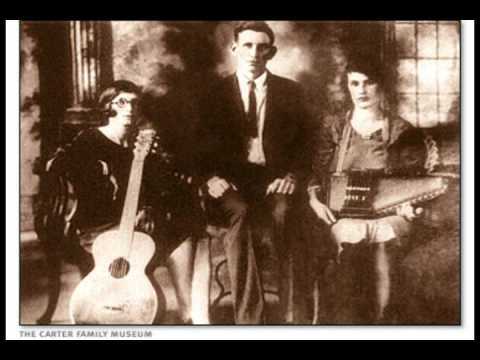 The musical style of the Carter Family was influenced by the religious beliefs instilled in A.P. by his mother. The effects of that have resonated down through most of country western music, with its emphasis on guitar music instead of the fiddle which drove most old-timey music from that same region. This book tells that story among the many others, and the enclosed CD gives several examples of their music, from a series of radio broadcasts made down by the Texas border. These recordings, provided by Arhoolie Records, provide yet another insight into the Carter Family history, as they traveled halfway across the country to perform a strenuous series of radio broadcasts. The real story is about people. As we see the interactions between the members of the family, it begins to make sense how they could create such an impact on their listeners, but also why the family was destined to split up eventually. From the 1920s until the death of June Carter Cash just a few years ago, the Carter Family was a part of American music. Because they were on the scene at the point where radio and recordings were capable of spreading their music to a national audience, their impact was multiplied in ways that could not have been achieved either earlier or later. The two musical generations of this family served as the transition from the preserved old songs of the 19th century to the country western music of the late 20th century, and affected almost much of folk and gospel music in between. This graphic biography is a treat, and belongs on the shelf of anyone with an interest in old-timey, gospel, American folk or country western music. The 11-song CD will tantalize you, and if you want to hear more of the radio broadcasts, Arhoolie Records has compiled three full CDs of the Texas radio broadcasts. Nick Smith is coordinator of the Caltech Folk Music Society and the President of the California Traditional Music Society, as well as being a performing storyteller.